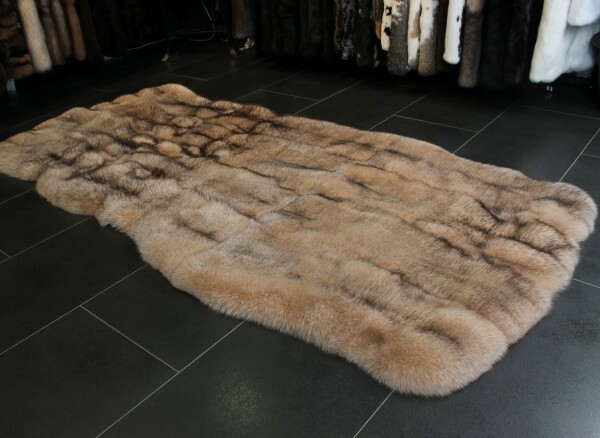 The luscious bluefox fur carpet was made with beautiful blue fox skins, dyed in a charming rose wood color. This color is unique and it will add a nice touch to your living areas. Sink into the irresistible softness of real fox fur, filled with a soft wool wadding and an anti-slipping back lining. Related links to "Bluefox fur Carpet"
Customer reviews for "Bluefox fur Carpet"